Presentation is more powerful and easiest way to convey our message to others. You could literally visualize any idea with professional-looking modern templates. IT and business people tend to express their views in presentations. Microsoft Visio Professional 2010 is one of the most powerful software which includes advanced diagramming tools which assists you to facilitate difficult data with dynamic, data-driven visuals and real-time online sharing. Microsoft Visio Professional 2010 actually gives life to your imagination with its rich-set of features and consistency in delivering accurate results. You can develop your own tools and carry out various multipart professional activities. Microsoft suggested 10 reasons to try out Visio 2010 which are likely to be its best features. Let’s see them in brief. 1. It offers broad range of diagramming requirements for business, IT, management and more, with sensible templates, drawings and pre-designed shapes. 2. Discover the creative tools and access them when you require. 3. With improved automatic features, you can create accurate shapes easily and more quickly. 4. When your complex diagrams become large and are unable to understand, you can use “Subprocesses and Containers” to organize them in such a way that it is more instinctive and precise. 5. Make your diagrams more attractive and visually-appealing with rich set of themes and formatting tools. You can also preview them before publishing. 6. Connect your diagram to different data sources like Excel and SQL Server. Present them in real-time conditions using resonant colors, symbols, icons and data bars. 7. You can easily share your creative diagrams online in “Microsoft SharePoint Server”. 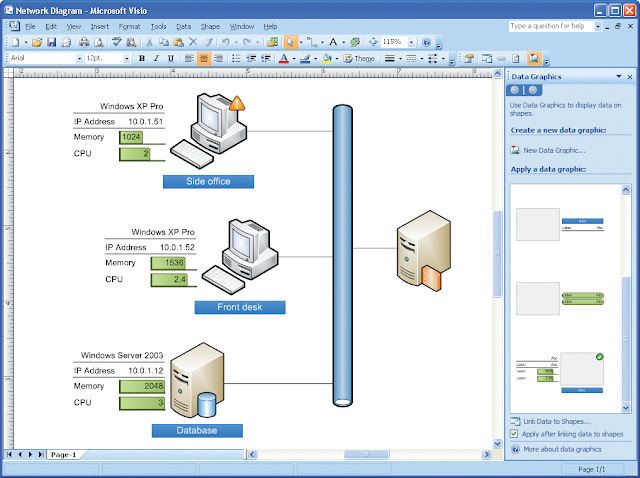 Online users who do not have Visio can also view your real-time information in their web browsers. 8. You can check diagramming standards using “Diagram Validation” for frequent errors. 9. Import and Export workflows between SharePoint Designer 2010 and Visio 2010. 10. Create, publish and share interactive Visio diagrams on dashboards using Visio Services and SharePoint Server integration. 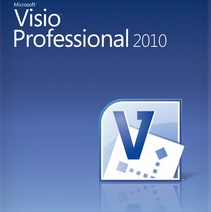 Microsoft Visio Professional 2010 comes with 60-day trial version and if you want to have the full version software, then buy it for $559.95. Microsoft offers the next version for free if you buy the current version.